When I think about the sixties, the first car that comes to mind is the Ford Mustang. There are so many great examples of re-imagined Mustangs from that era but I found a great one over at Classic Recreations. For a cool $149,000 they offer a beautiful variant of a 1967 Mustang convertible. 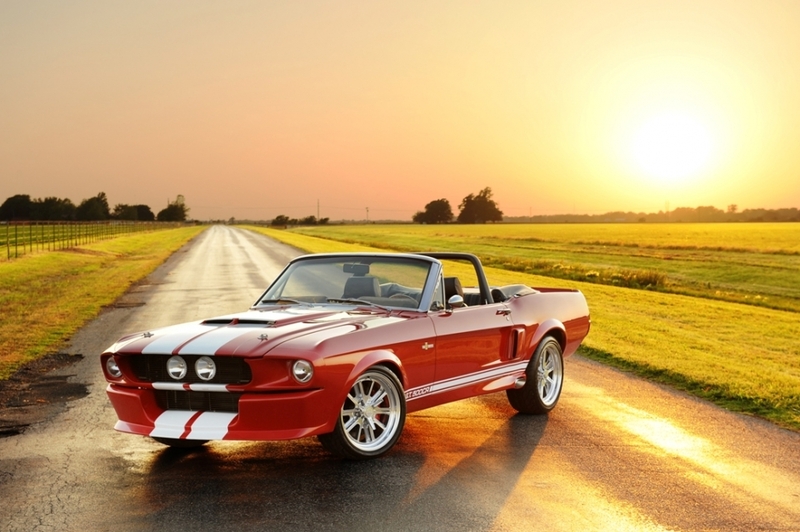 The Shelby G.T.500 CR 545 Convertible is breathtaking in both presence and power. The details of craftsmanship are evident on their website and I’m sure it does no justice for the feeling you get seeing this car in person. It’s 427 C.I. crate engine pushes 545 horsepower through a Tremec transmission, down to the Z-rated performance tires wrapped around Shelby 427 wheels. I’d love to drive one of these. For now, I’ll just stare in wonder. This entry was posted in Uncategorized and tagged 1960s, Carroll Shelby, Classic Cars, Classic Fast, Classic Recreations, ClassicFast, Convertible, Ford, G.T. 500, Muscle Cars, Mustang, Shelby Wheels, Tremec Transmissions. I really do;want this car inmy life.